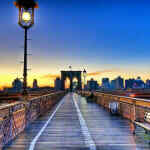 Having spent my entire life in Manhattan, I was reluctant at age 50 to cross any bridge. However I found the new condominium developments in Williamsburg offer space, value, and tax-abatement that the co-ops and condos in Manhattan couldn't come close to. Plus, the new buildings are incredibly dog friendly, as is the neighborhood in general which mattered to me. The waterfront area is now developed and being built up fast. I walk from the L stop to my place on the water and always feel safe. Plus the East River Ferry is a great option for getting to Wall Street or Midtown and another plus to being close to the waterfront. Add to this great restaurants (with better prices than Manhattan for the most part) and I think you have an all around great place to live. I wouldn't go back across the river to live if you paid me!!! "Great for the twenty-something scene! And shoppers, young tourists, artists"
Williamsburg rents are on the rise, but a glimpse into Craigslist will convince you that there are still relatively affordable places in this neighborhood. However, you may want to be advised that although this is a very fun place to live (if you are say, 25 years old), many streets on this neighborhood are beleaguered with noisy drunk long after the bars close. 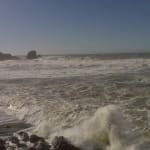 That being said, this still may be just your scene – I know I certainly enjoyed living here. Everything is at your fingertips: shopping, eateries, record stores, bars, music venues. Of these places, I’d recommend Union Pool (a pretty cool music venue that showcases a lot of local bands), and Dumont Burger (it’s small and low key, and they have some good beers on tap and serve delicious giant burgers). 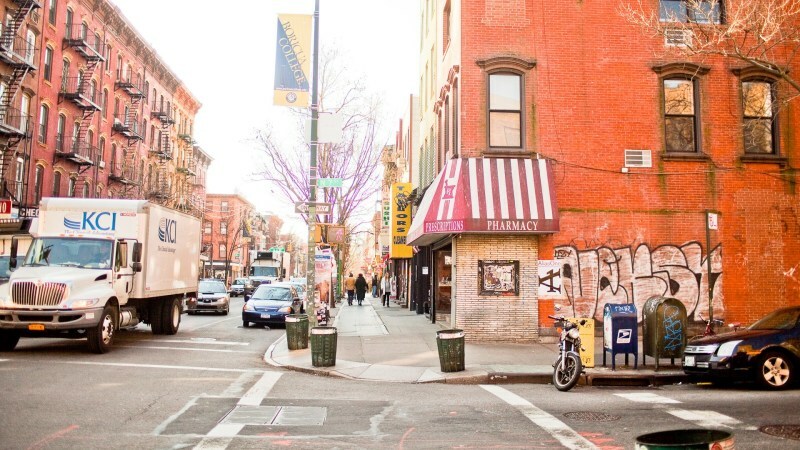 Located close to Bed-Stuy, Greenpoint, and Bushwick, Williamsburg is Brooklyn's answer to Manhattan's East Village. In fact, a growing number of people are finding it better than the East Village as it is cheaper and more spacious. It has a very diverse hipster population as well as Hasidic Jewish and Hispanic enclaves in South Williamsburg. 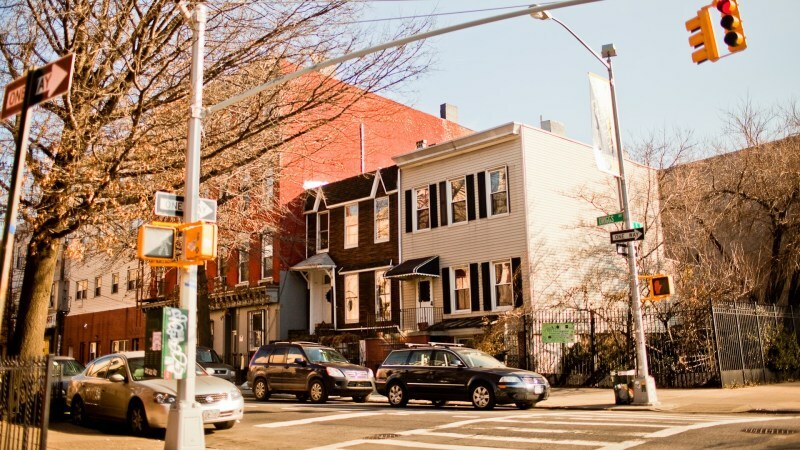 Williamsburg boasts an incredibly convenient location; Manhattan is just over the Williamsburg Bridge, an incredibly short drive or a ten minute subway ride away. In fact, many young commuters even elect to ride bikes or walk over the bridge. Rents here are not cheap, but they are cheaper than they are in the city, and they drop as you move away from all the action on Bedford. Try south of Metropolitan or way up north. I have to agree with the previous reviewers: if you live too close to Bedford, it's noisy, crowded, expensive, and dirty. The best parts of living in Williamsburg include the hip art and music scenes, the incredibly variety of restaurants, a plethora of hip stores, and the funky bar scene. There is definitely no shortage of things to do in Williamsburg. That said, I wouldn't say that it's the best place to raise a family, but it certainly is a fun place for young people. "Despite the hipsters and filth, it's a really cool neighborhood"
I lived in Williamsburg for a number of years before moving into the city, and I kind of miss it. Williamsburg has become such a well-known neighborhood that the residents have their own defining characteristics to other people. And, there's such a mix of things to do and people involved that it's hard to classify in one swoop, but I'll try. The rent is atrocious for living outside of Manhattan. But, the further you get away from the Bedford stop of the L train, the cheaper it gets. And, in my opinion, the cooler your neighbors are. I lived in a pretty big (by NY standards) apartment off the Graham stop, and my rent wasn't cheap but it wasn't outrageous. I loved my street and there was so much to do around my apartment but it wasn't overly loud or dirty like the Bedford area is. Not to say that Bedford stop streets don't have great things to them, I just prefer the Graham and Lorimer area. The apartments are nicer toward Lorimer and Graham as well because it's not as popular for students. So, there aren't a lot of railroads and most of the places haven't been totally thrashed. There are so many fantastic restaurants and bars in Williamsburg that the list is too high to name all of them. Some of my friends that don't work in Manhattan never actually go there because there is so much to do in Willy. Diner, Mesa Coyocan, Moto, Dresden, Dumont, Marlow and Sons . . I could really go on and on. The dining in this neighborhood is really hard to beat. . . even in Manhattan. The bar scene ranges from cool local haunts like Harefield Road and Ontario to cocktail spots like Huckleberry and Delmano to downright hipster hell like Union Pool. Whatever you're looking for, you can definitely find here. Williamsburg got popular as a neighborhood because of the music and art scene that came about when all of these artists were forced out of Manhattan because of rent. That scene still survives and it's pretty cool. There are multiple music venues in Willyburg and I still go to concerts there all the time. Even a guy from TV on the Radio bartends once a week at a bar on Grand street. How's that for music in your backyard? There's summer screens at McCarren Park, a new movie theatre with food and booze, galleries, art events, flea markets, street fairs, you name it. It's such a lively community. The bad things about the neighborhood, however, definitely need to be kicked off with the hipster contention. They were invented in this neighborhood and they are, literally, everywhere. They think they're artistic but they don't do anything all day but judge and drink. They're pretty awful and I don't know when it became cool to be a nerd, but it did and this neighborhood started it. I wouldn't mind if they were actually smart or artistic but most are just pretentious and rude and that's it. You can't avoid them here so you just learn to adapt. Also, a lot of the neighborhood can be pretty sketchy at night (particularly around the abandoned condo area at the water) but that's not dissimilar from pretty much any neighborhood in New York. The Bedford area, however, is one of the dirtiest areas I've seen in all of New York. It's pretty disgusting and always packed. Also, the L train is the only way into Manhattan from North Williamsburg, and it is the best of times and the worst of times. When it's running, it is the fastest train in New York. When, it's not running (and, that happens a little too often) you are completely SOL. "The Hipster Version of Swank"
Today Williamsburg is bustling with a variety of activities: the home-office-at-the-coffee shop kind, the fashionista sort that brings mass crowds of people on weekends and the type that builds condos. There is something about the air around here, though - it's not uncommon to come across snotty shop keepers and baristas. It's gotten pretty swank around here in the last decade. From a neighborhood of mostly industrial warehouses (which have been converted into some pretty cool apartments where they weren't knocked down to create high rise condos on the water), Williamsburg has fast become swanky albeit in a youthful way. On the weekends there are book vendors on the sidewalks and a farmer's market in McCarren Park (which I suppose is borderline Greenpoint area), and all the bars and places to get brunch really serve as neighborhood draws. While there are some cute clothing stores and at least one awesome shoe carrier, I don't think it attracts many people outside of the hipster circle, unless anyone outside of a hipster likes second hand "vintage" shops. I have a few friends that live in the south part of Williamsburg, which isn't nearly as nice as the area of the neighborhood starting around Grand. Down there there are a lot of brand new buildings or newly remodeled ones, but somehow they aren't very charming. 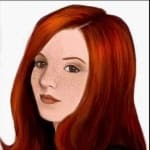 I hear the apartments around the Bedford L - besides being hard to obtain - have gotten pretty expensive for what they are, which is nothing new and nothing too special. "Hipster Central - Mover Beware!" Once the quintessential working-class Brooklyn neighborhood, Williamsburg has now become metonymy for a certain kind of hipster: the goateed, clever-tee-shirt-wearing, highly emotional, neurotic, obscure-music-liking artise extraordinaire. 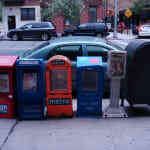 With a thriving indie rock community, a youthful population (often seen to consist of children of upper-middle-class families striking out on their own, a preconception that has caused some conflict with the neighborhood's existing residents), and plenty of music venues, bars, art galleries, and other staples of an artsy nightlife scene, Williamsburg is so in it's almost out. 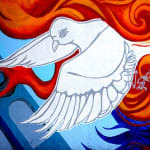 Check out the Hogar Collection, one of the neighborhood's best galleries, or The Brick, for some low-cost independent theatre. Peter Luger Steak House, consistently ranked the city' #1, is also here, along with tons of trendy eateries. Aka Potion is a highly recommended neighborhood mainstay, with a close and friendly crowd that tends towards the international and gregarious - think of a college dorm common room. But beware - the hipster culture can be suffocating for the non-scene-attuned. 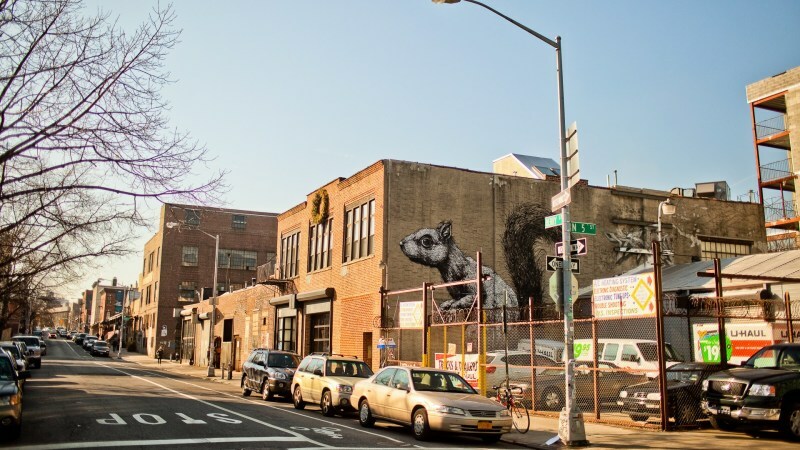 "Decent nightlife scene ...if you can stand the crowds"
In the past few years rents in Williamsburg have gone up - which is why may young professionals are now spilling into the surrounding areas of Greenpoint and Bushwick. There are more shops and restaurants in the area than ever before, but the good news is that most are not very expensive even with all the condos going up on the East River. Fornino's has a great pizza menu and offers ambiance for a decent sit-down dining experience, and Anna Maria Pizza stays open late to cater to the massive amount of bar hoppers that pervade the area. The area around Bedford is usually crowded with twenty-somethings on any given day of the week or weekend. As far as living there goes, it's great if you want to participate in the scene but not so wonderful if you can't sleep through the noise that drunken people in their twenties like to make. "For the young and the young at heart"
The Williamsburg (Willyburg) neighborhood of Brooklyn which is located one stop away from Manhattan on the L train was initially the domain of city’s Hasidic Jewish community though over the years it came to be occupied by the city’s Puerto Rican, Dominican and Polish communities as well. Since the 1970’s however the neighborhood has increasingly been occupied by artists and beatniks who were forced out of the Lower East side due to its gentrification. 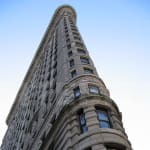 This accounts for the bohemian ambiance that pervades the neighborhood especially around the ‘party central’ district of Bedford Avenue and Lorimer Street. The boundaries of Williamsburg as it is known today are the East River, Greenpoint, Bushwick and Bedford Stuyvesant. The Williamsburg Bridge connects Williamsburg to Lower Manhattan though it is also accessible via the Brooklyn Queens Expressway. Grand Street divides Williamsburg into the north side and the south side. 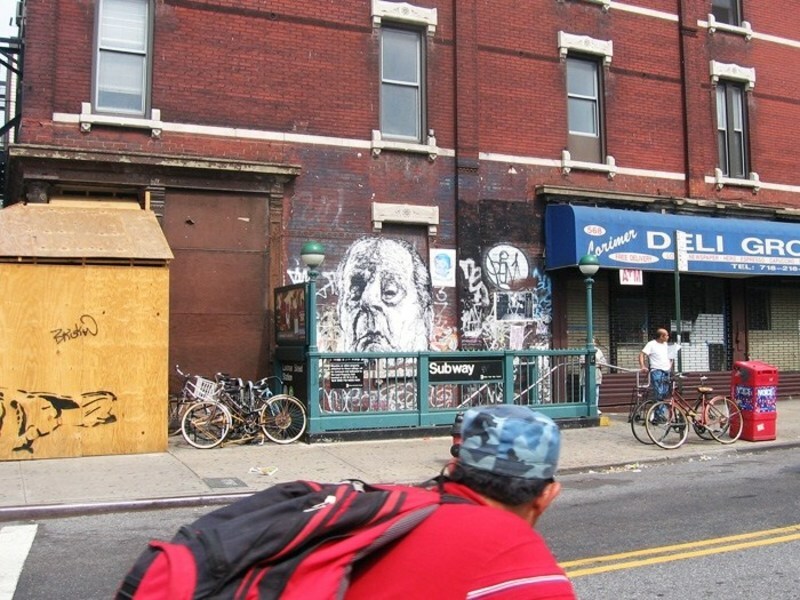 The north side of Williamsburg is a hub of artistic activity and the domain of hipsters as well as the Italian and Polish communities while the south side is home to the area’s Latin community. 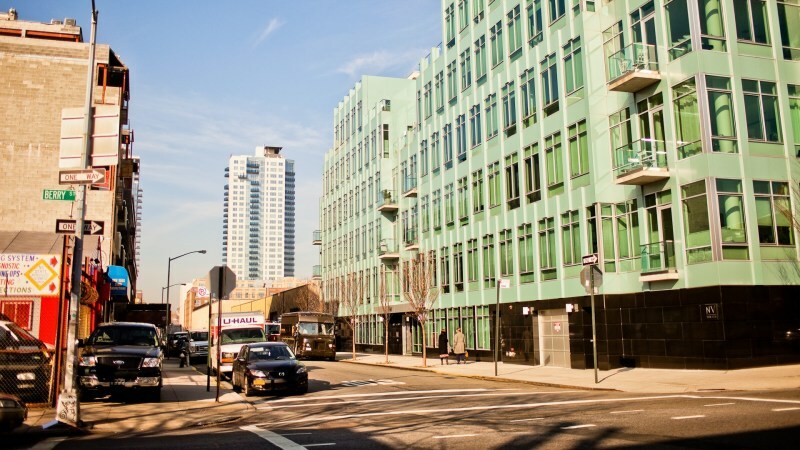 The neighborhood of Williamsburg has in recent years witnessed much hectic construction activity as rezoning laws have allowed for the development of several high-rise luxury residences along the Greenpoint and North side waterfronts where once stood derelict industrial warehouses. 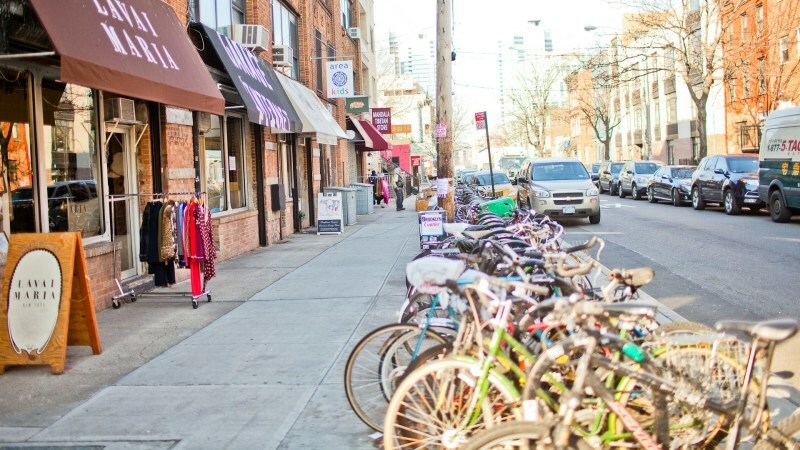 Vintage fashion stores like Vice Versa, Buffalo Exchange and Beacon’s Closet abound in Williamsburg keeping in tune with the neighborhood’s ‘boho’ vibe as do several art galleries like the Galapagos art space and the Black and White gallery which mainly display the work of local artists. 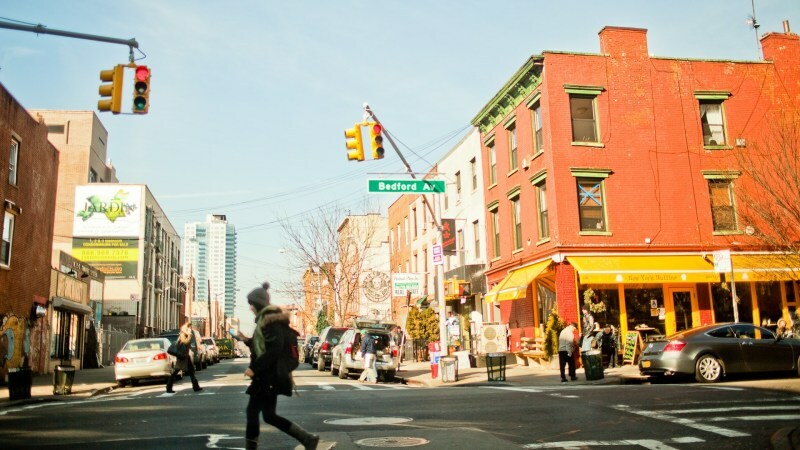 Bedford Avenue is the main entertainment hub of Williamsburg which populated by countless bars and restaurants of which perhaps the cultural institution of Pete’s Candy Store on Lorimer Street is the most famous. As far as restaurants go, Williamsburg’s most famous restaurant is the renowned Peter Luger steak house which is located on Broadway near Marcy Avenue. "Williamsburg, A great place if you have money!" Williamsburg has a lot to offer. There are great restaurants, music spots, and young people. In addition to that, there is easy access to the Brooklyn waterfront, where I enjoyed many an amazing fireworks display on 4th of July, or hung out and gazed at Manhattan from a short distance. Rents however, have gotten pretty out of control ( I was living on Bedford Ave in an apartment and paying $1000 for a room). It is definitely not that affordable, unless you have a pretty good job. If you do, there are tiny thrift stores to enjoy, a lovely wine shop on Bedford and great people to enjoy! "Fun when in your 20s"
I lived in Williamsburg from 2002-2004, when it was starting to get "cool." 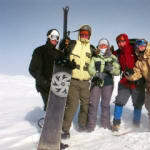 During these years I was in my early 20s, and I had an amazing time. When I go back to visit, now at 27 I don't know if I would still live there, but I still have a good time at the bars and restaurants. Williamsburg is right over the bridge from Manhattan, and is a quick commute on the L train if you work in the city. It is what the East Village was to the early 1990s - full of artists and hipsters. Though this white gentrification has driven prices up in the hood to somewhat unreasonable prices, the local Puerto Rican, Italian and Hasidic cultures have not been pushed out. I personally lived in the Italian part of Williamsburg near Graham Avenue and always felt very safe - all the old Italian neighbors acted as a 24/7 neighborhood watch. Williamsburg is now getting music venues, high end restaurants, and great bars for both young partiers and the aging hipster crowd. Now all they need is a movie theater! "An incubator to new musicians"
Williamsburg is located just one stop from the Manhattan L train and is a thriving art community that’s home to hipsters and the bravely creative. This hotspot has chic sushi restaurants and designer furniture stores that aid in luring creative professionals. 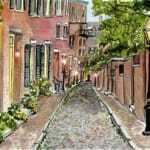 Williamsburg has also become an incubator for new up and coming bands, rivaling Manhattan as the home for live music. This neighborhood has created itself quite a reputation for Indie rock. You will most certainly never grow bored in Williamsburg due to its exceptional cafés and numerous boutiques. 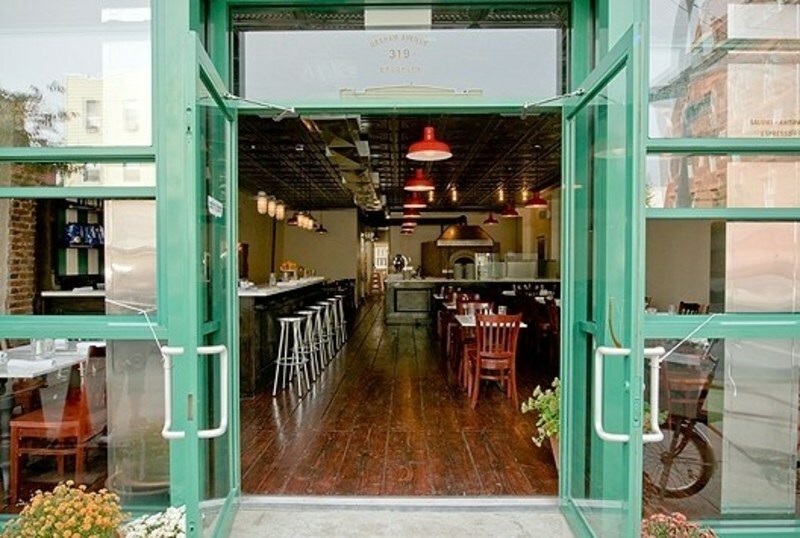 Nearby restaurants include Planet Thailand (has two full bars and on overflowing Thai and Japanese menu) and Mamalu on 12th Street and Driggs (offers all things organic and a play area of tile foam for the kids). Need a drink after work, stop by the buttoned-up brewpub at 184 Bedford Avenue known as Spike Hill. You will meet lots of locals anxiously awaiting an interesting conversation here. Shopping is extensive in Williamsburg, from high-end boutiques carrying small designer collections like Occulus 20/20 (on Bedford Avenue) to the area behind the large barn door featuring new and edgy designs from the Brooklyn Flat (at 150 Ainslie Street). Looking for that obscure album that you can’t find anywhere? Try Earwax on Bedford Avenue - carried old rock, electronic, jazz, and even country music recordings. Also along Bedford Avenue are many spas and health and beauty supply stores. Get a Brazilian wax or Polish-style massage at the small and unpretentious Magnolia Beauty Spa. You will surely enjoy freshening your skin from the harsh Big Apple elements. 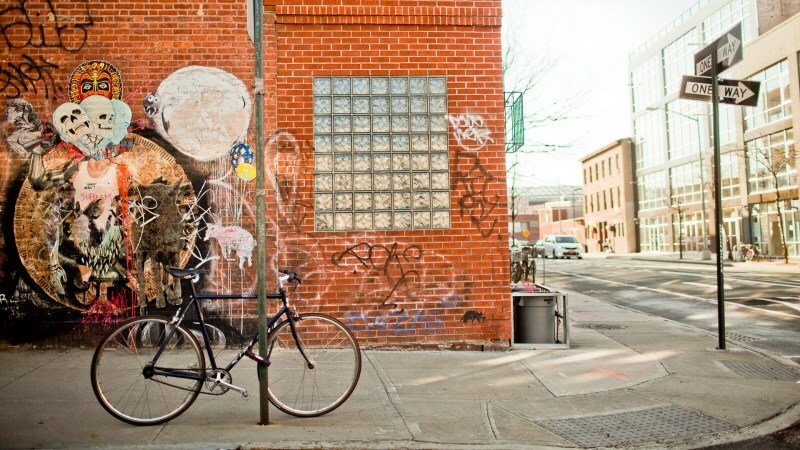 "Williamsburg - much more than the sterotype of young people looking for cheap rent." 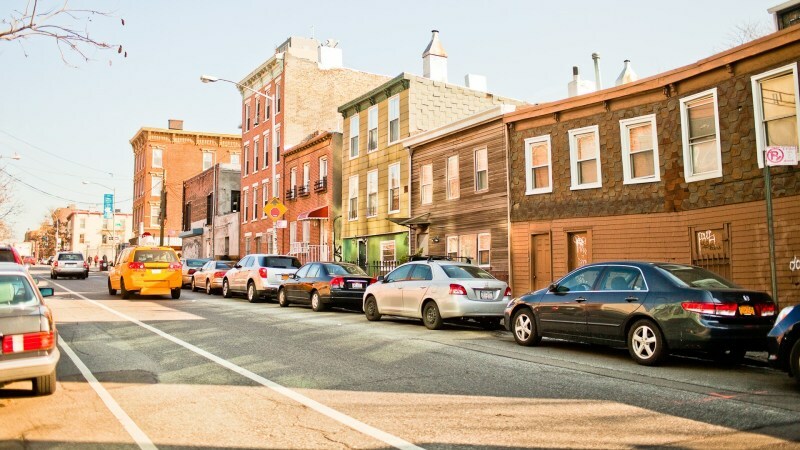 Williamsburg is a diverse neighborhood in Brooklyn, New York. With the Williamsburg Bridge linking Brooklyn directly to Manhattan, this neighborhood has emerged as a popular location for young people and those fleeing their expensive Manhattan roots, not to mention a heavily historic population, this up and coming neighborhood is one of the most popular attractions in Brooklyn. The history of Williamsburg is steeped in preserving tradition and the search for the American dream. Similar to the founding of the neighborhoods of Greenpoint and Bushwick, the British East India Trading Company negotiated the settlement of Williamsburg off the shores of New Amsterdam, as New York was originally called. 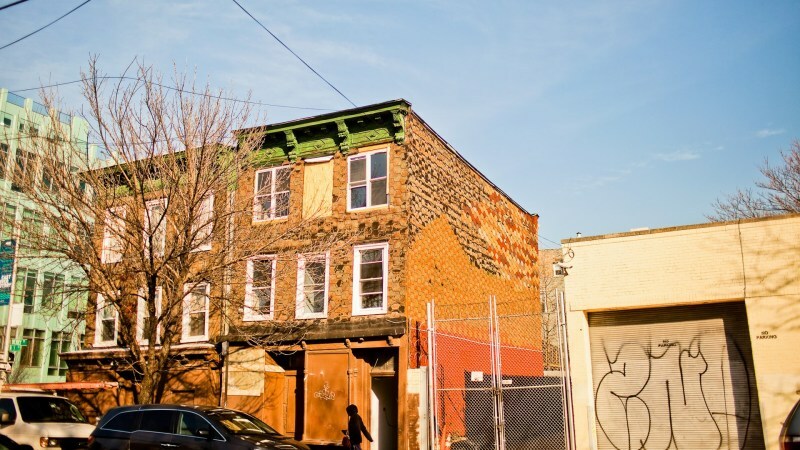 As time progressed, this small neighborhood developed and what was once a farming settlement emerged as one of the most dynamic neighborhoods in Brooklyn, home to several innovators and successful entrepreneurs. 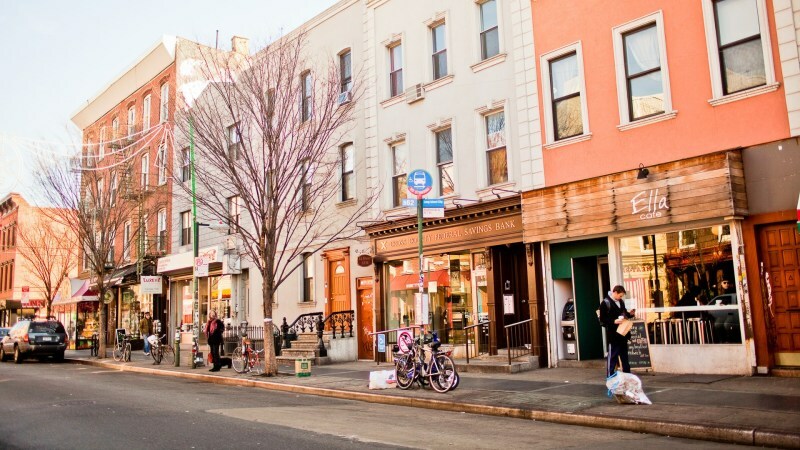 Williamsburg is a “neighborhood within a neighborhood,” as the many disparate ethnic groups and people have individual cultures all their own. Perhaps the most renown of these groups are the Hasidic Jews whom reside in South Williamsburg. 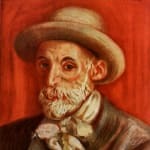 Their distinctive look as well as their culture are esteemed with the residents of the city. Here, you’ll be hard to pressed to find a non-kosher restaurant, but in the east, you’ll find a more diverse and older working class of mixed heritage, while in the north resides a heavyily Italian population. Williamsburg is now home to a crop of young people, referred to as “hipsters,” who are mainly young artists, musicians, and professionals who thrive off of the hip offerings in this fun neighborhood. Living in Williamsburg was once championed for low rents, but with the influx of people leaving the city to commute, rent prices have drastically increased. Depending on the street in the neighborhood you’re interested in living on, condos range from $300,000-$500-000, but subletting in this area is popular and available for more affordable prices. Entertainment and shopping in Williamsburg is wonderful, as the neighborhood is chalked full of unique vintage book shops, antiques stores, clothing stores, cafes, and restaurants. 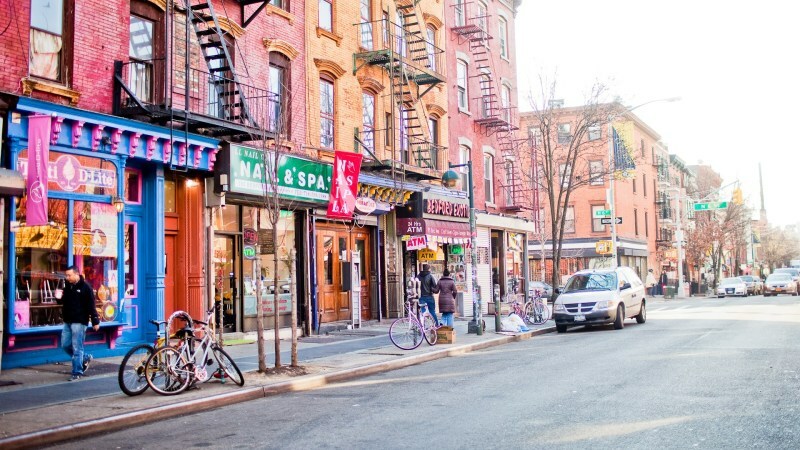 Sightseeing in this neighborhood should begin with the Williamsburg Bridge and a nice stroll through the neighborhood taking in all the great ambiance it has to offer. 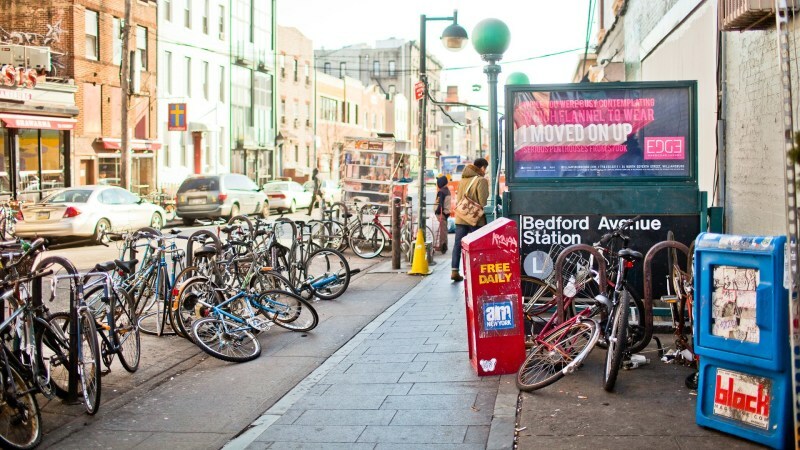 transportation is simple as this neighborhood can be accessed by the L, J, M, Z, and G trains as well as several cross-town and local buses.